I’ve had the deepest desire to grill things this summer. Unfortunately for me, the only grill we have is one of those little baby ones that can maybe fit 2 medium steaks on it, max. And I know a good grill really isn’t that expensive but when it comes down to it, there are always SO many other things I would like to spend a few hundred dollars on. I keep thinking that maybe we’ll get one for an awesome ‘we-just-can’t-turn-this-down’ deal being as the summer is drawing to a close (insert super sad face here). 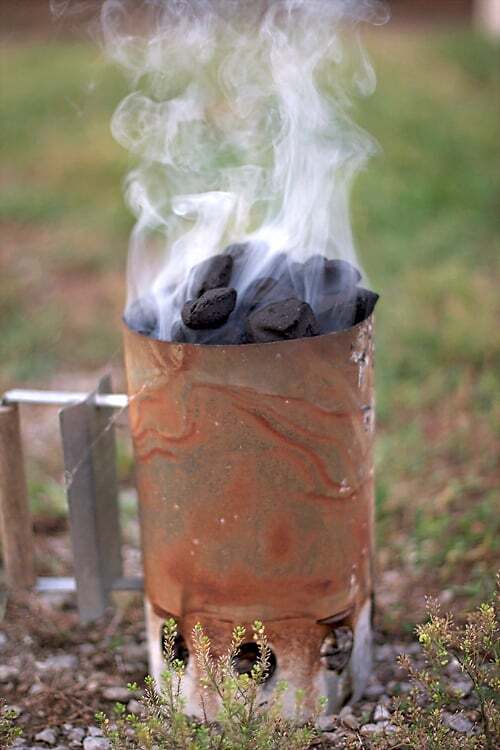 Until then, grill at my house consists of heating up charcoal for 30 minutes and cooking things in small batches. It’s still delicious though, don’t worry. Like this corn. We typically just cook corn in the oven but I had a hankering for grilled corn. Does it even taste different grilled vs. roasted? I don’t know. 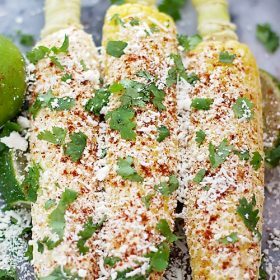 But darnit, I wanted grilled corn! So, that’s what we have here today. I’ve only had Mexican corn one other time and it was from a street vendor. It’s one of those things I’ve had on my mind ever since I took the first bite: “I could totally make this just as good at home!”. Usually when I try new food, one of my first assessments is ‘could I make this myself’? It’s really rather simple which is what I’ve been in the mood for lately. 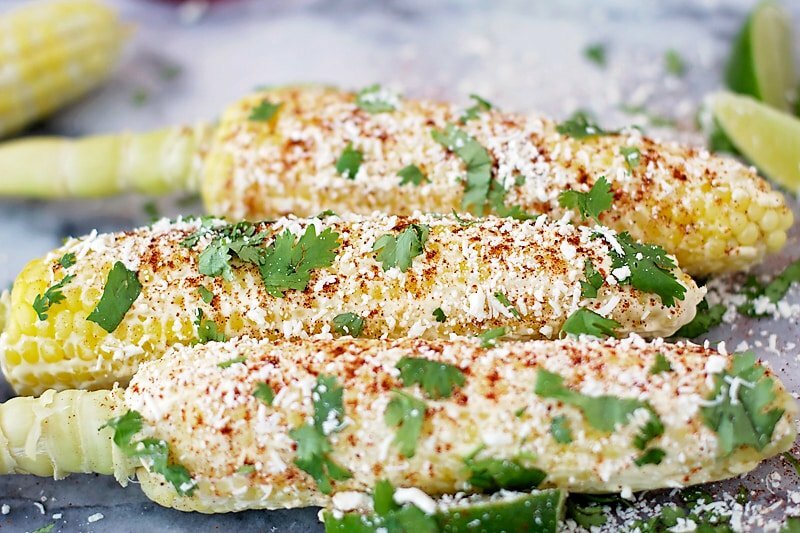 After soaking the corn in water for about 30 minutes, place on your grill. Flipping every 4-5 minutes, grill the corn for ~20 minutes total. 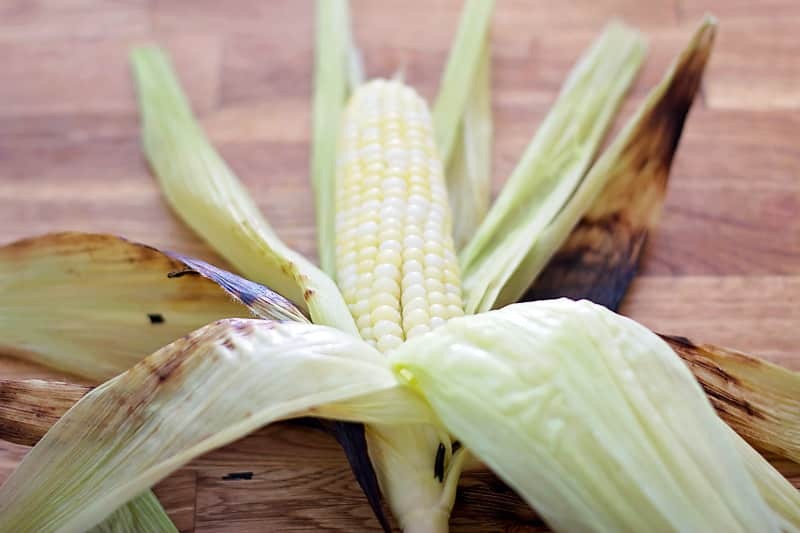 Remembering that the corn just came off of a hot grill, carefully peel back the husks and remove all of the pesky silk. I removed all of the husk and wrapped each ear of corn in tin foil to keep it hot until I was ready for the next step. 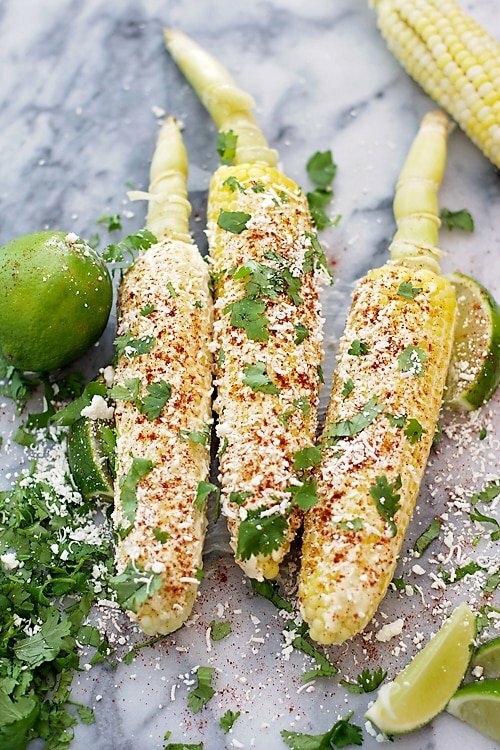 Now all you really have to do is top it with flavor….cover each ear of corn in light mayonnaise. Sprinkle chili powder, cheese, and chopped cilantro over top. Squeeze a bit of lime over each and that’s pretty much it. 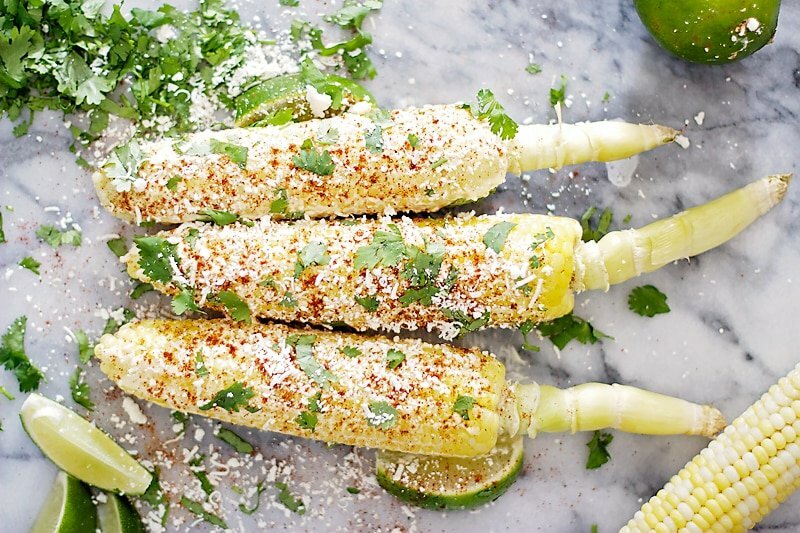 Corn on the cob with a fun twist. 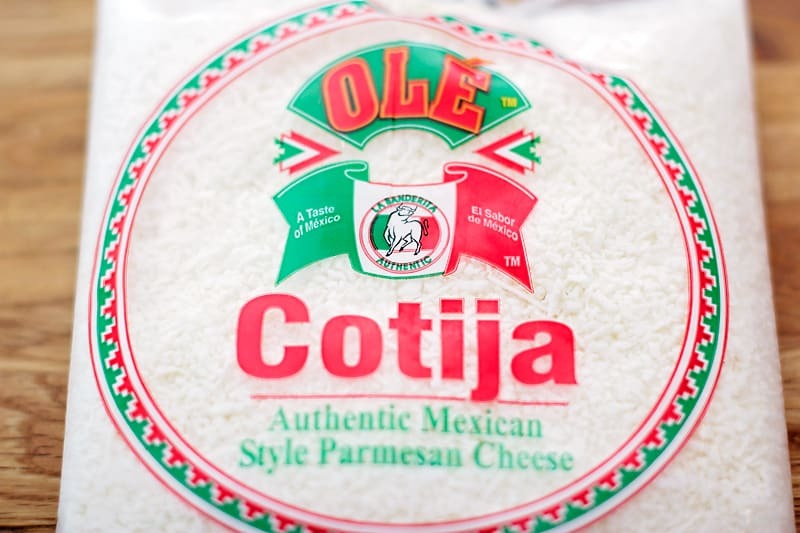 The recipe calls for cotija cheese which is pretty much just Parmesan, but a tad bit moister. If you don’t want to spend $6 buying this, plain Parmesan will do JUST fine. Soak corn in water for 30 minutes. Pat dry before placing on grill. 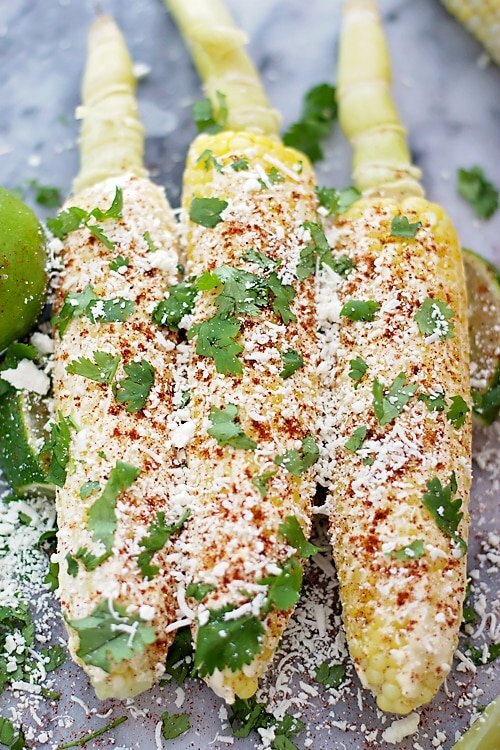 Grill corn for 15-20 minutes, flipping each ear over about every 4-5 minutes. 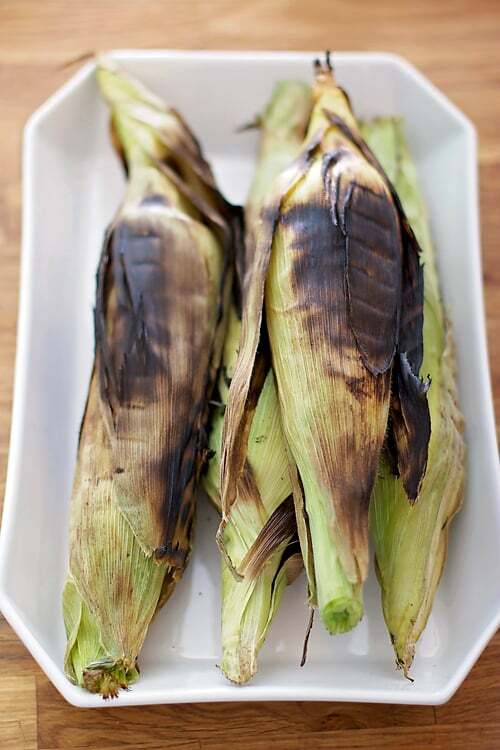 Being careful to not burn your hands, pull back the husks and remove all of the silk and husk from the corn. Cover each ear of corn with 1 tablespoon of the mayonnaise. Sprinkle with chili powder, cheese, and cilantro. Squeeze lime over top of each ear. Serve with an extra wedge of lime. Yummy!! This is one of my favorite snacks. Sounds delicious. I love peaches and cream corn this time of the year. And love the new blog layout!